Situated on the Queen Elizabeth olympic park, Plexal is the largest innovation ecosystem in Europe. 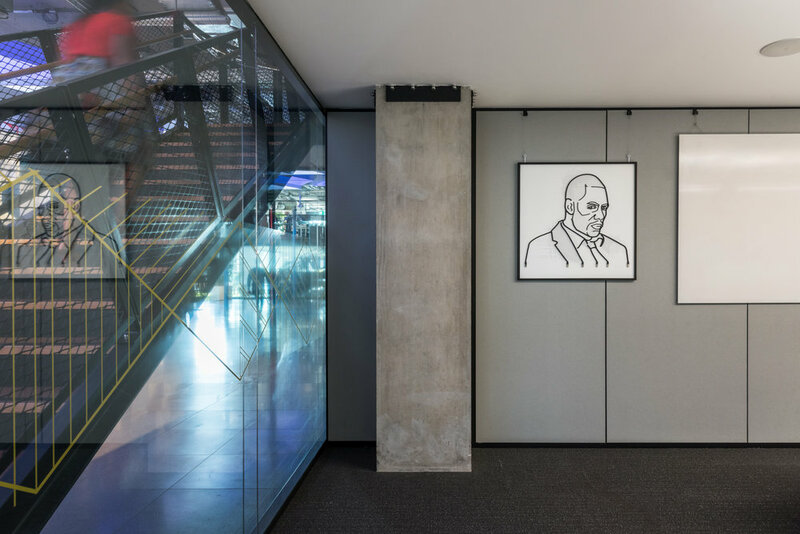 We were commissioned to create a series of artworks that celebrated the lives of successful people from and around the surrounding area of East London. These pieces are displayed throughout various meeting rooms across the Plexal site. Dame Angela Brigid Lansbury is an English-Irish-American actress who has appeared in theatre, television, and film. Her career has spanned eight decades, much of it in the United States, and her work has attracted international acclaim. We created a piece based on one of her most iconic TV roles ‘Murder she wrote ‘ we created a large, framed word search featuring the titles from the series using bespoke typewriter keys. Sir Alfred Ernest Ramsey was an English football player and manager. As a player, he represented the England national team and captained the side, but he is best known for his time as England manager from 1963 to 1974, which included guiding them to victory in the 1966 FIFA World Cup. Using 3d printing technology we created a series of football stadiums from across the UK reflecting the areas influenced by Alf Ramsay. Emmeline Pankhurst was a British political activist and helper of the British suffragette movement who helped women win the right to vote. Window smashing campaigns were used as a political statement. The suffragettes sought to prove that the government cared more about broken windows than a woman’s life. We created an illuminated piece based on a smashed window in the style of stained glass. Inspired by Clement Attlee’s efforts as the UK’s Prime minister between 1945 to 1951. 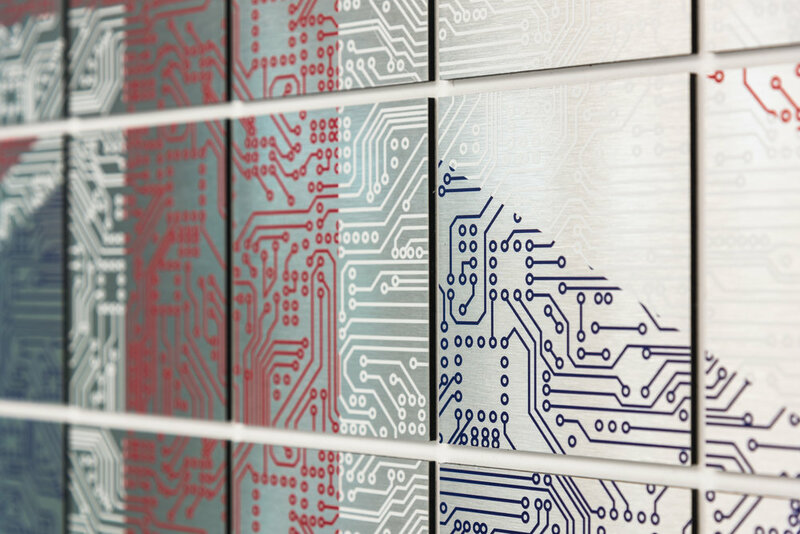 We created a piece that immortalised him with Plexal’s foundation as a union jack created in a series of bespoke circuit boards. An English actor, producer, director, musician, DJ, and rapper. He is best known for playing drug trafficker Stringer Bell on the HBO series The Wire. So here we created a portrait of the actor himself using wire.